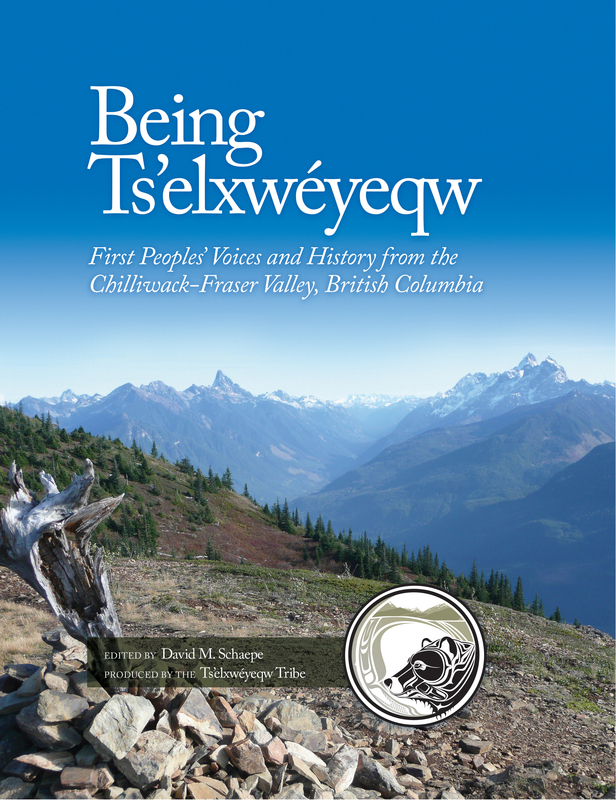 BEING TS’ELXWÉYEQW provides an in-depth and personal view of the First Peoples of the Chilliwack River Watershed in the Central Fraser Valley, British Columbia. This book focuses on two key questions – what does the word Ts’elxwéyeqw mean? And, what does it mean to be Ts’elxwéyeqw, as a tribe of Stó:lō-Coast Salish People? 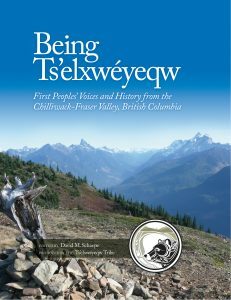 Presented here are key narratives of the distant past and personal histories; over 700 historic and contemporary photographs, maps and images of Ts’elxwéyeqw people, places and belongings; and more than 85 place names within the Chilliwack Watershed that help convey answers to these core questions. This is an original volume with an arrangement and presentation of voices of Elders past, present and future. It contributes to achieving a better relationship and understanding of how to live together in a good way in today’s world. Copyright © 2019 — Perrier Design • All rights reserved.